Acoustic Duvets offer a high level of sound absorption and contain a panel of flame retardant, acoustically absorbent foam which are clad in Acoustic Transparent (ACT001) fabric. 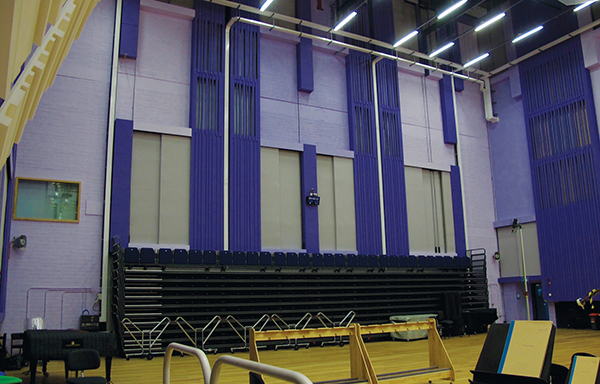 They can be fixed to a wall or other structures to provide a constant fixed sound baffle, or can be track mounted allowing them to be moved into wall recesses when a more reflective acoustic is required. Track systems have the option of being manual or motorised with remote handsets available if required.